Britain is famous for its cloudy and damp weather and our homes have been built in such a way to function in this environment, so the recent prolonged heat wave is causing issues for many homeowners. Damp and mould have been replaced with subsidence and aggressive weed infestations. If you are planning to purchase a property for development, or have neglected your home for over a decade, you should consider having a building survey carried out to assess its condition. Today, Sova Surveys share their knowledge about the most expensive problem in British properties: subsidence. Subsidence is possibly the most costly problem in any home and the summer heatwave could trigger new problems in homes that have previously not had any issues. 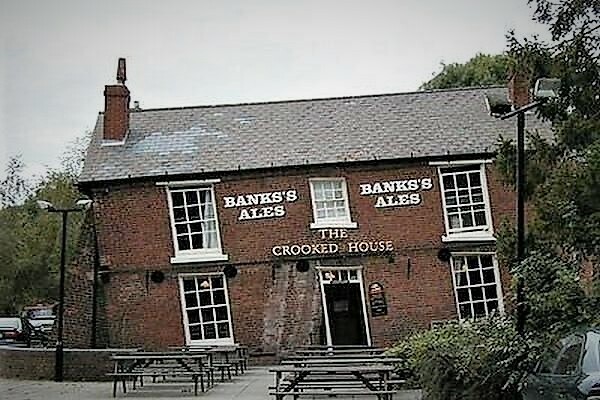 Serious cases of subsidence can cost over £50,000 to fix, so take this risk very seriously. Subsidence is when the ground below your house moves downwards. The cause of this can vary from the presence of large trees taking up nutrients and water from the soil to drainage problems and sinkholes. However, at the moment the problem is caused by a combination of heat and very dry weather. Many parts of the UK are built on clay soils, and clay expands and contracts, much like a sponge, when it comes into contact with water. Because Britain is usually relatively wet, houses have been built with shallow foundations. This is not a problem when the ground below the foundations is in good order, but with three months of almost no rainfall, these soils are drying out fast. The result is shrinking soil volume below many foundations, which causes foundations to drop, and cracks appear in walls. The only way to resolve subsidence is to underpin the existing foundations with a deep one, and this is a very costly procedure. This is done by digging small foundation trenches next to the house and then digging out under the existing foundations, then pumping in concrete. To prevent more subsidence only a small section can be completed at a time – this is why it is such an expensive procedure. Buildings insurance is vital, and bear in mind that if you do have a problem, there is probably a large excess on your policy to be paid before any work will be done. If you are purchasing an old home, or one built on clay soil, appoint a surveyor to carry out a measured building survey. When viewing a property look out for diagonal cracks in the walls that are wider at the top than the bottom. Also, look for signs of cracks being filled in and decorated over. Cracks in walls can lead to further problems, such as damp and mould due to the ingress of water through cracks in the external walls. Many people purchase older properties to renovate them, and often a property will look like fantastic value. However, if there are underlying problems, such as subsidence, the investment may be very risky and actually end up costing you money. So always have a full structural building survey carried out on older properties.